Look for symptoms of harmonics as listed in Table 1 below. If one or more of these symptoms occurs with regularity, then the following steps should be taken. If the plant contains power factor correction capacitors, the current into the capacitors should be measured using a “true rms” current meter. If this value is higher than the capacitor’s rated current at the system voltage (by >5% or so), the presence of harmonic voltage distortion is likely. Conduct a paper audit of the plant’s harmonic-producing loads and system configuration. This analysis starts with the gathering of kVA or horsepower data on all the major nonlinear devices in the plant, all capacitors, and rating information on service entrance transformer(s). 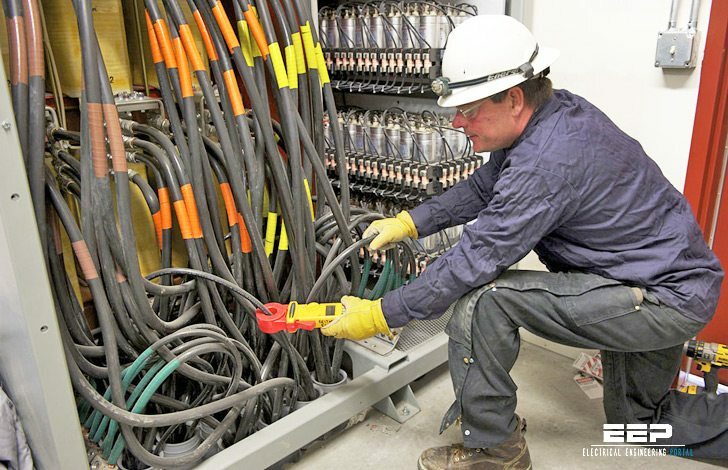 If the electrical distribution system is complex – for example, multiple service entrances, distributed capacitors – or if the paper audit is incomplete or considered to be too burdensome, the most definitive way to determine whether harmonics are causing a problem is through an on-site plant audit. This audit involves an inspection of the electrical system layout and connected loads, as well as harmonic measurements taken at strategic locations. This data can then be assembled and analyzed to obtain a clear and concise understanding of the power system. Many companies provides an engineering service to conduct these on-site plant audits. The proper application of harmonic filters can be greatly simplified by recognizing that there are only a few pieces of pertinent information and analysis steps that need to be taken for most systems in order to correctly deal with the problem. Your approach to power system harmonic diagnosis and solutions should eliminate needless analytical complexity in the majority of circumstances. Rather, it should rely on the relatively few pieces of information that are required to make the correct applications decision. If this information indicates that some type of metering and measurement is required, then only those select measurements that yield useful information will be performed, keeping the complexity and cost to a minimum without sacrificing solution correctness. One of the most basic and useful pieces of information that must be known before attempting to correct power factor in the presence of nonlinear loads is the ratio of the total nonlinear kVA to the service transformer kVA rating.